Trees are in bloom, the sun is shining bright and temperatures are very pleasant: Spring has finally arrived in Tuscany! Take a look at all the events organized in Tuscany for this first weekend of Spring, the calendar is full of many various types of proposals. 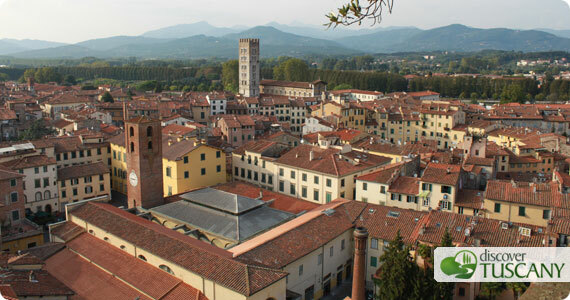 It starts with VerdeMura, an exhibition of plants, flowers, garden furniture and products organized within the town-walls of Lucca. The exhibition starts today and continues until Sunday 27. Then several events dedicated to sweets or flea markets and antiques. While sports fans, particularly motorbike-lovers, will have the chance to participate in the Mugello Motor Fest at the Mugello International Circuit in Scarperia. On Saturday 26 and Sunday 27 visitors can also have the chance to test bikes by the most famous worldwild motorcycle manufacturers. You’ll find all the information on the official website of event. This weekend of 26-27 March, the FAI (Italian Environment Fund) opens many cultural sites throughout Italy on the occasion of the Spring FAI Days. Several properties in Tuscany, usually closed to visitors, will be open on this occasion. In Florence, you can visit the Collection Arnaldo Corsi at the Museo Bardini. In Montepulciano, Palazzo Tarugi opens on Sunday, while in Pisa the Teatro Rossi, the first city public theatre, will be open. Find the complete list of the FAI cultural places open this weekend. In Pisa from March 25 to 29 will see the turn of PisArt Expo 2011, an exhibition of contemporary art organized at the Stazione Leopolda. Over a hundred Italian artists, cultural activities and events dedicated to all art lovers. There are several events dedicated to chocolate on this weekend around all of Tuscany. From the 25 to 27 in Porto Santo Stefano the “Argentario Chocolate” will take place, a fair with workshops, exhibitions and chocolate tastings for adults and children. Saturday 26 and Sunday 27 in Gambassi Terme (near Florence), master chocolatiers will fill Piazza Roma, while on Sunday 27 around the streets of the historic center of Montevarchi (Arezzo) the local pastry chefs will present their creations at the event “Sweet Chocolate“. In Certaldo and Volterra, the protagonist this weekend will be the “marzuolo” truffle. On Saturday 26 and Sunday 27 the streets of Volterra welcome the stalls of fair “Volterragusto”, offering truffles and other local food products. On Sunday 27 the center of Sansepolcro (Arezzo) will host the stands of the “Domenica del Tarlo“, a traditional market of antiques, crafts and gift items. On Sunday in San Gimignano will be the turn of the “Collector’s Corner”, while from the 25 to 27 March in the coastal city of Follonica the event “Squares of Europe” will be landing – an international market of specialty products from Europe. Finally, Scandicci will hold the second edition of the Comics Market Fair, scheduled for March 26 to 27 at the Sports Hall in Scandicci (free admission). Wishing you all a good weekend from the Discover Tuscany team! Finally, it’s here: the Firenze Card! !